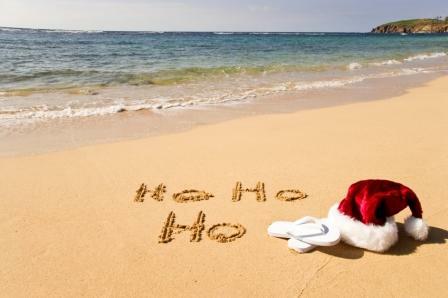 Last Minute Christmas Trips Can Be Fun! Christmas is normally a time of year where you work a lot with family. However, what if you really want to do something different? A lot of people often don’t have enough family living near them to get into any type of activity, and others really don’t have family at all. You shouldn’t let that stop you from having a great time. There are a few travel deals to be had… if you’re willing to be flexible. Remember that when it comes to the travel industry, empty space doesn’t make them any money. They don’t want to see empty spaces if they can help it. Of course, the truth is that they are going to have some empty chairs going on, which is going to cost them some money. But if they can offer you a discount, then they’re going to do that…especially if that means you’re going to be filling a space that nobody else would have filled. Timing. Make sure that you think about when you want to take off, and when you want to land. Some people think that they need to travel during the middle of the day…but that’s when everyone else is traveling. If you want to go with big savings, try flying very early in the morning. Most people do not want to wake up that early just to make a flight happen. Remember that you will have to be at the airport at least 2 hours before a domestic flight and 3-4 hours before an international one. You never know when the extra time could save your flight. Remember that if you do take advantage of any discounting, those tickets aren’t going to be refundable. So if things come up at the last minute, you’re going to still have to make your trip work. Your budget is going to play a big role in this. Don’t think that you’re going to have to go over your budget just to have a good time. It’s all about what you can do, how you can get it done, and where you want to go. Some destinations are going to be cheaper than others. If you’re going to be flexible, being location and time flexible combined is a really good idea. You will enjoy a last minute trip because you’re going to be saving money, but it’s important to really stay in that moment. Sure, you’re going to be doing something that most people don’t, but isn’t that what life is for? Think about the trip you desire and then make it happen — what are you waiting for? Go out there and shine!